I am mobile and come to your home, stable, etc. 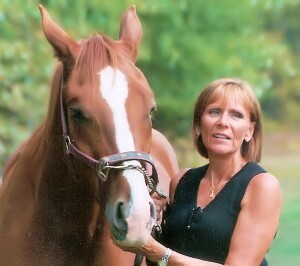 We also offer emergency care for horses in colic. I serve customers in Hunterdon, Somerset, Morris, Monmouth, Warren and Hudson Counties in New Jersey. 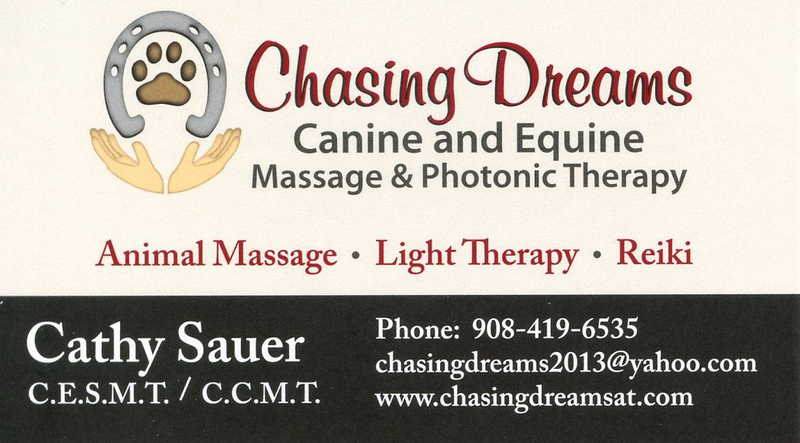 New customers – mention this page and enjoy $10 off your pet’s first therapy session. “Wonderful experience my horse is moving so much better, much more relaxed. Thanks Cathy” – S.H. “What a caring and knowledgeable person. Takes her time with my dog, makes sure he is relaxed and takes the time to play with him before she even starts the therapy. 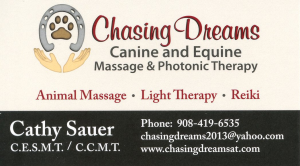 Wonderful experience and my dogs loves her.”- S.M. “I have 3 young dogs and they each get done. What a difference in muscle, growth and behavior. They are so much more relaxed. Very professional and takes her time with each. Great to have her come to my house and I can watch each one have their therapy.” – N.L. “Can’t say enough for how she treats my big girl. Absolutely wonderful. My dog loves her and enjoyed her massage. Such a difference in how she moves now as she has a leg problem and limps quite often.” – D.K.